Washington Wizards point guard John Wall has five fractures in his left wrist and hand, the team announced Thursday. Wall went through multiple medical exams Wednesday that showed "five non-displaced fractures," the Wizards wrote in a statement. 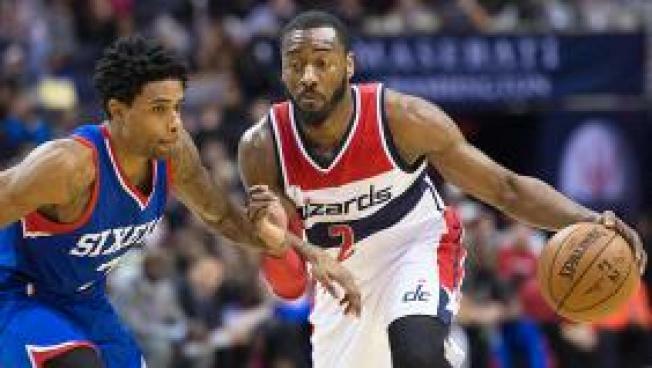 The Wizards say Wall's playing status is not yet decided; the team is talking with specialists to figure out what to do next. Wall sat out Tuesday night's game against the Atlanta Hawks after finishing the first game of the Eastern Conference Semifinals because of his injured hand.